Credit Bureaus such as CRIF are dedicated organizations set up to assess the risk of a loan being given to an individual or a business by banks and financial institutions. Various factors like paying your EMI’s and card dues on time, how long you have had and used credit, number of credit inquiries you have made in a particular amount of time etc. are considered to determine a person’s credit score. 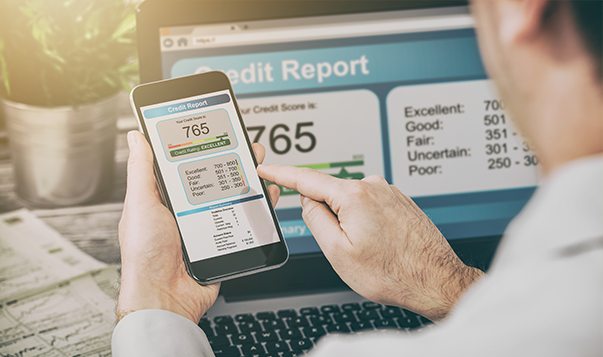 If you are in the good books of credit bureaus, then you’re most likely to incur lower interest rates on loans while, on the other hand, you might not get a loan at all if you have a poor credit score. For a score with a range between 300-900, a credit score of 700 or above is generally considered good. People who keep paying timely installments on their loans and credit card dues get extensions on limits subsequently when their credit limit gets stretched. A good credit gives you the negotiating power when applying for a loan in terms of interest rate and loan amount. Owning a home sweet home is the dream of every individual. If you are looking to buy your dream apartment, there are two things you consider: a pretty home and a not-so-pretty home loan. However, what matters the most in swift approval of your home loan is your credit score. Home loan limits are dependent on income but a poor credit history might cancel out / nullify your chances of getting one irrespective of how much you are currently earning. On the other hand, with a good credit score, the chances of loan approval are higher. This is because the lenders consider you as trustworthy. Read our blog 4 things to consider Before You Apply for a Home Loan to land into your dream apartment. The penetration of credit score has gone beyond as an integral part of the loan approval process for banks. It is increasingly being used as the selection criteria before scheduling interviews. Employers in banking and financial services (BFSI) are checking credit scores of candidates as a part of their employee verification process before hiring them. So if you are searching out for a job, then not only preparing for the job interview but checking your credit score and improving it also becomes indispensable. A lower score can thrash your desires of a dream job. Globally a credit score is also used by the insurance firms to set the premium charges on their policies. Even telecom companies use it to set the security deposit that they require before giving a connection or decide the credit limit. this is beginning to happen in India as well, as insurance and telecom companies have begun using credit scores. We are already seeing early use of Credit Scores to establish credibility of the groom in case of arranged marriages and of the tenant in case of rentals.